Throughout history, patterns have come in countless permutations of motif, colour-way and scale. Yet what all have in common is the regularity of repetition, that insistent rhythm that animates a flat surface with a sense of movement and vitality and gives it depth. Evident in the arrangement of petals on a flower head, the branching growth of stems and vines, the spirals of a seashell – pattern is inherent in the natural world that surrounds us. Powerful and transformative, pattern has an irrepressible joie de vivre. 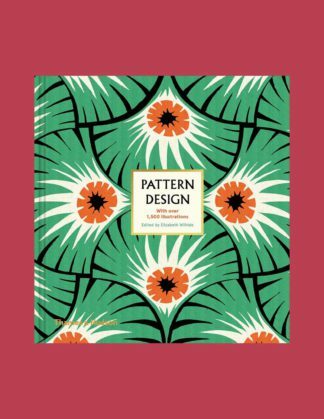 With more than 1,500 illustrations of patterns from all ages and cultures, Pattern Design is a visual feast. This comprehensive compendium is arranged thematically according to type, with chapters on Flora, Fauna, Pictorial, Geometric and Abstract designs. These broad categories are supplemented by in-depth features highlighting the work of key designers from the rich history of pattern-making – such as William Morris, Sonia Delaunay, Charles and Ray Eames, Lucienne Day and Orla Kiely – along with sections detailing the characteristic motifs of key period styles from Baroque to Art Deco.